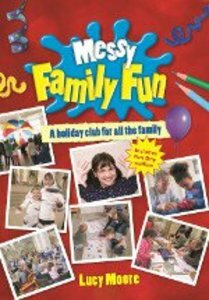 Messy Family Fun provides a holiday club programme for the whole family, or for children coming with an adult. It offers five consecutive days of two-hour sessions followed by a meal, reflecting the values of Messy Church (Christ-centred, creativity, celebration, hospitality, all-age), and includes background and principles for this model, alongside session plans, downloadable templates and follow-up ideas. There is also a one-day Messy Church Fun Day outline that can be used as a trial run for the full holiday club, and/or as a community event to attract new families. About "Messy Family Fun (Messy Church Series)"
Martyn Payne has been part of BRF's Barnabas in Schools team since 2003, he is the author of A-cross the World; Footsteps to the Feast; Bethlehem Carols Unpacked: Creative ideas for Christmas carol services with Lucy Moore and The People's Bible.